Thanks for that link...something else for me to learn!! 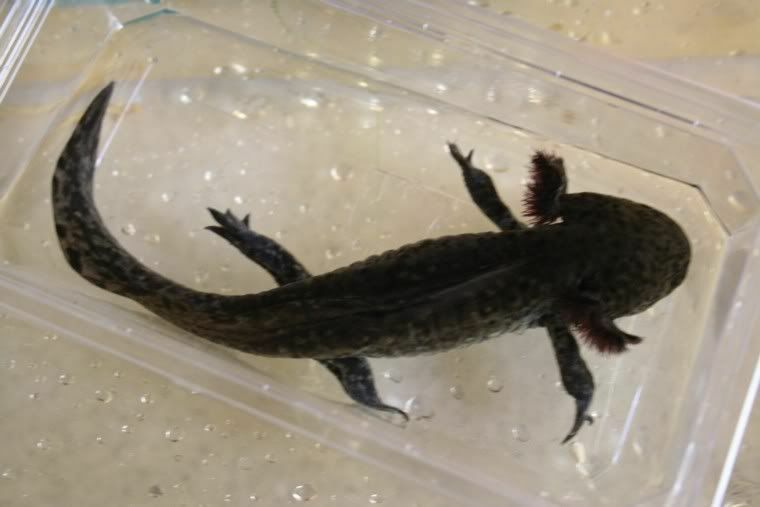 1) Can I use your photo in this thread on my axolotl site please? I will of course give you credit. 2) What forum are people giving you a hard time on? I am curious. Feel free to post a link (normally this is frowned upon but I'm requesting it please ). 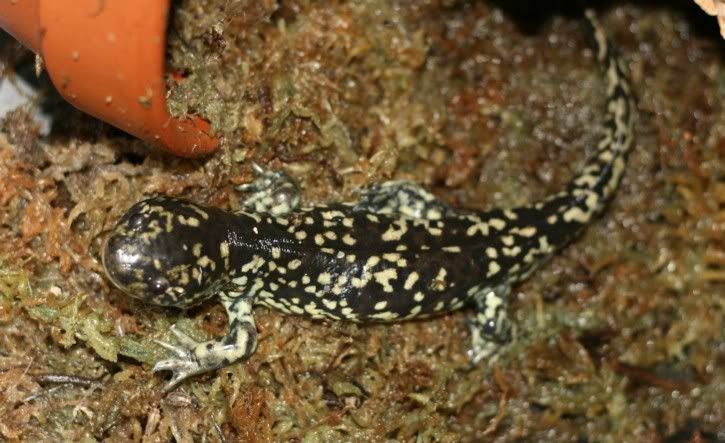 Regarding the great link to Tim Burkhardt's photos of Ambystoma velasci, look at the toes - looks like a missing link between USA tiger toes and axolotl toes. sorry about a very late reply. and i can get alot more. he is an AMAZING hunter SO fast!!!!!! he is getting more and more spotty and loves hiding in a flower pot! he has now moved in to a bigger 3 foot tank. and Loving it. and the forum.. i wont say - its a great forum just a few ...... annoying people. someone i asked and recommended that i spoke to you (freined sof you i think... *hides*. 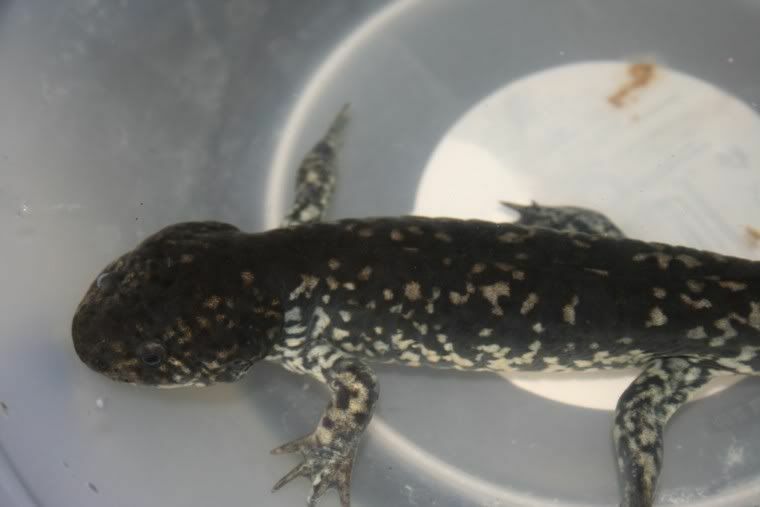 they think i am eveil, i didn it on pupose and i dont care about it..
this is becuase i was thinking of selling it - so it got the best care - its alot different to a llizard etc etc. is eating and pooing etc etc fine. teh sad thign is .. he wont live as long. and one thing i must say is..
do your own research. in just 1 - 2 weeks i did this .. and i felt incredibly guilty. I think the lifespan of a naturally morphed axolotl is significantly higher than one that is forced to metamorph. 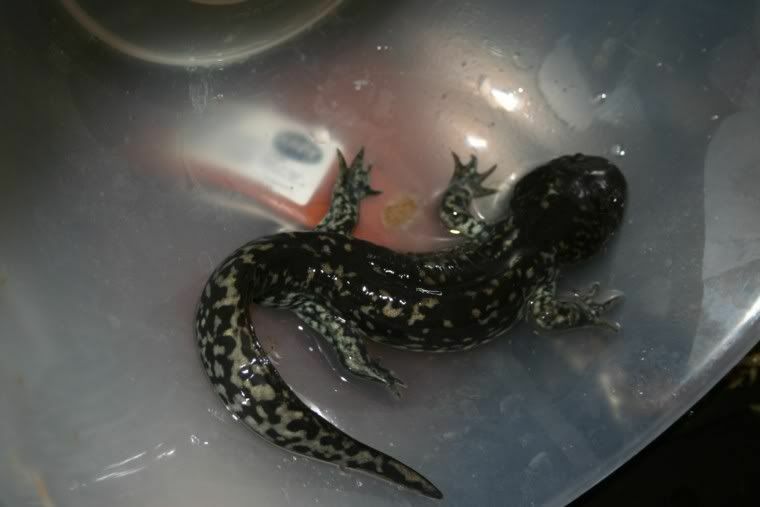 If chemicals are used to morph an axolotl, that means they cannot create these chemicals themselves, and will probably die much more quickly than those that morph naturally, and can create their own chemicals. Don't let people get you down. You're doing a good job. That is so neat & scary for me at the same time. 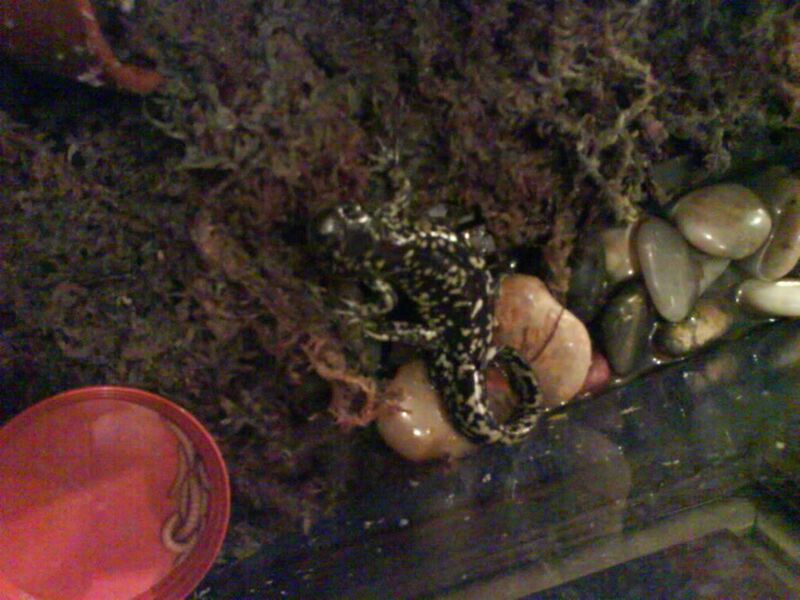 My new addition axolotl looks like yours Pokeon hes onyx with yellow small pokedots. Hope he stays an axolotl I don't know the first thing bout those lizards lol. But hey thats pretty neat congrats! Please, the purpose of this site is to provide authoritative information. Calling them lizards just brings the whole thing down. They are not lizards/reptiles, they are amphibians, a completely different class of animal. This is talked about on the front of the Axolotl Site, http://www.axolotl.org. Apologies John or if have offended anyone. Axie/Salamander technically speaking. do they all do that? coz i rele dont want mine to come out of the water? do the albino ones morph like that aswell??? Its very unusual for this to happen. Freeky's was kept at one point in rather poor water conditions which may have triggered this .